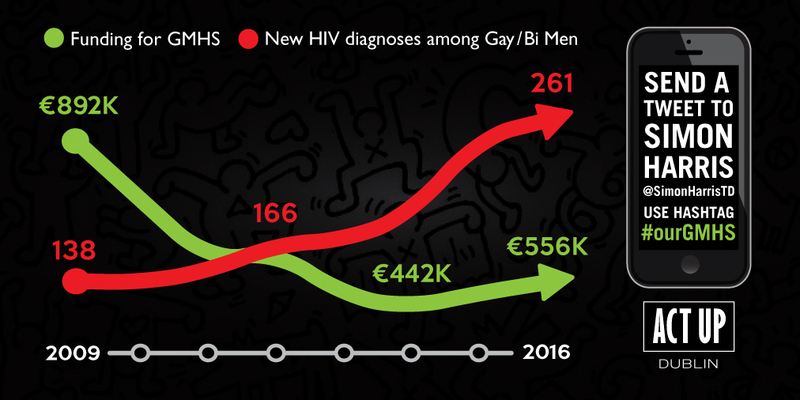 The Gay Men’s Health Service (GMHS) clinic on Baggot Street in Dublin has provided sexual healthcare services for gay and bisexual men and trans people for 25 years. In the last ten years—as new diagnoses of HIV and other STIs among gay and bisexual men have climbed dramatically—the HSE has slashed the budget for GMHS. Regular testing and treatment is one of the most effective ways to bring rates of STIs down. But there’s no use telling people to go for testing if they can’t get access to the services they need. Overcrowding and long waits are the norm—and that’s if you’re lucky enough to not be turned away at the door. Despite the massive budget cuts, despite the challenges of working in a neglected and run-down building, the GMHS has done its best to meet the growing needs of the community. In 2016 they added a new Monday afternoon screening clinic and, last November, a Thursday-morning PrEP support clinic. These are important steps in the right direction, but we’ve got a long way to go. We need to let the Government and the HSE know how important these services are to the community. We need to see a commitment to increase funding, to expand available services, and to improve the condition of the clinic facilities. 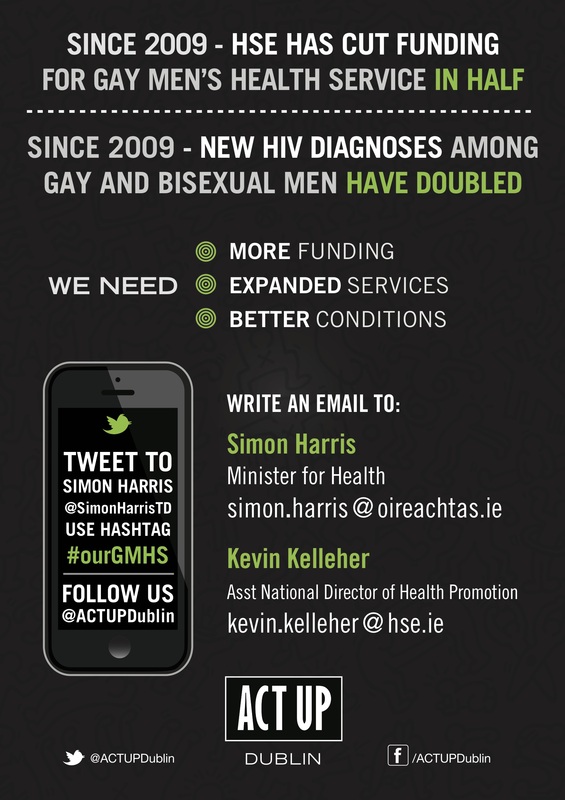 simon.harris@oireachtas.ie and Assistant National Director of Health Promotion Kevin Kelleher at kevin.kelleher@hse.ie. Let them know that #ourGMHS needs proper funding and support. Let them know that we won’t stand for further neglect of this vital service. We deserve better, #ourGMHS deserves better.